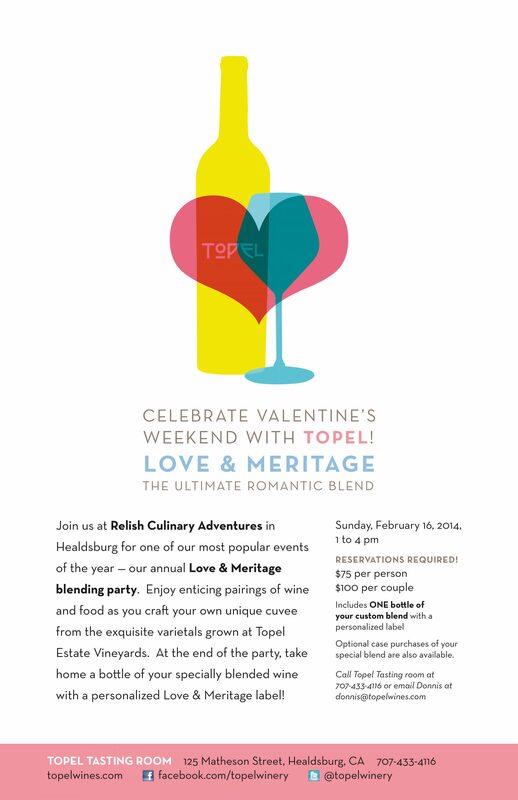 In a small town like Healdsburg, posters are a great way to promote an event: everyone sees them. 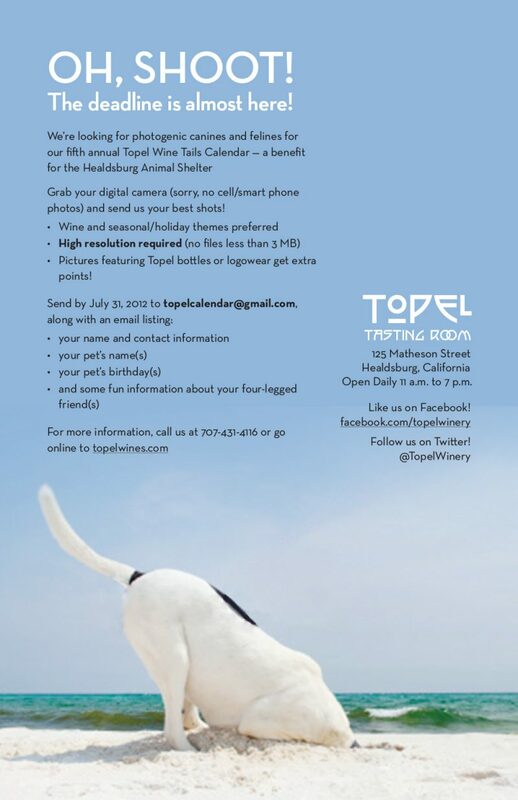 I designed many posters for Topel Winery which doubled as content for social media. 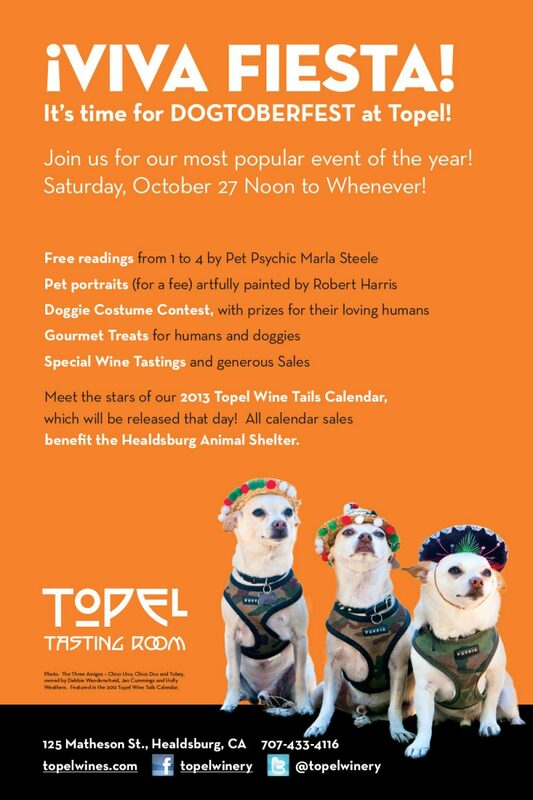 The Topels are dog-loving people and their annual Dogtober party was always a big success. 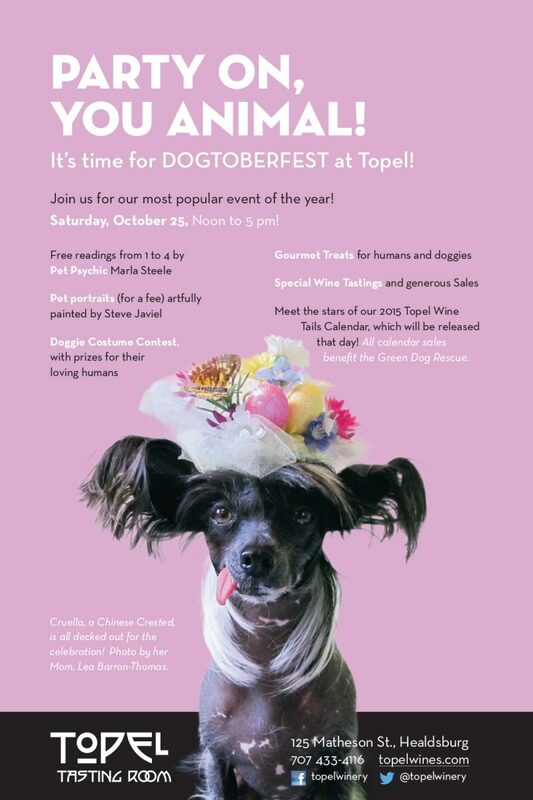 The humorous headlines, copy and PR were written by the talented Jane Hodges Young. In addition to the posters shown here, I designed a tasting fan book, signage, sell sheets, advertising, a calendar and short run labels. 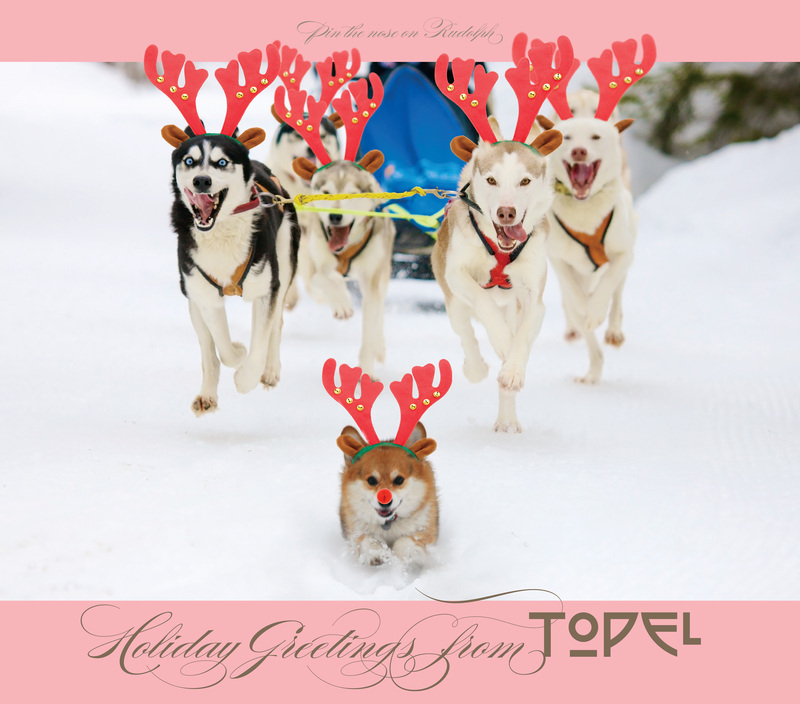 To create the "pin the nose on Rudolph" game, I used an image of a local corgi who visited the tasting room and combined it with stock photography of huskies, "antlers" and a red nose. It was a big hit at the holiday party.